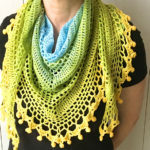 Today I have a new free crochet shawl pattern to share with you: the Durable Friendship Shawl. 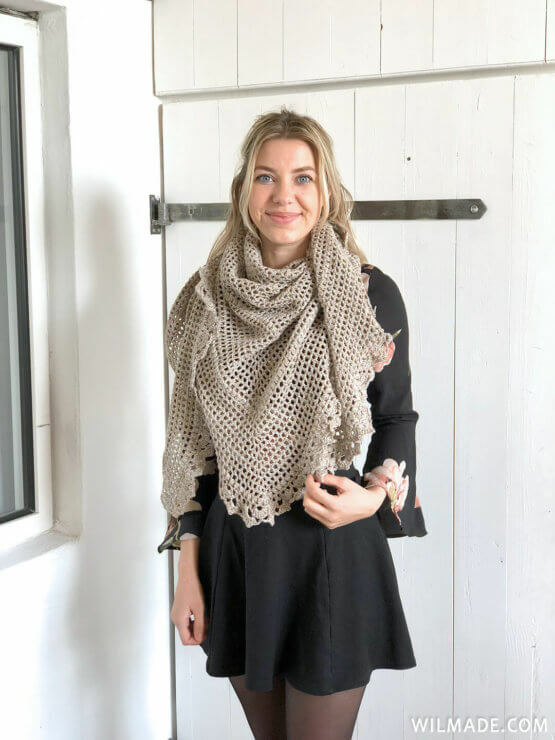 This shawl is pretty simple and beginner-friendly: all you need to know is how to make double crochet stitches, chains and puff stitches. A good project for beginners who want to give their first shawl a try! More than a year ago, my mom made her very first crochet shawl. It was a very simple design, but the elegant border made it pop out. Back then my mom just winged it without writing patterns. We did not have any experience with writing a crochet shawl pattern, so we decided to not share the pattern. She got many comments and likes on social media and people kept asking for the pattern, even recently, one year after posting the picture. She decided to make a similar shawl with a few changes to make it easier for beginners. So here you go! The long-waited beginner-friendly shawl designed by my amazing mom! 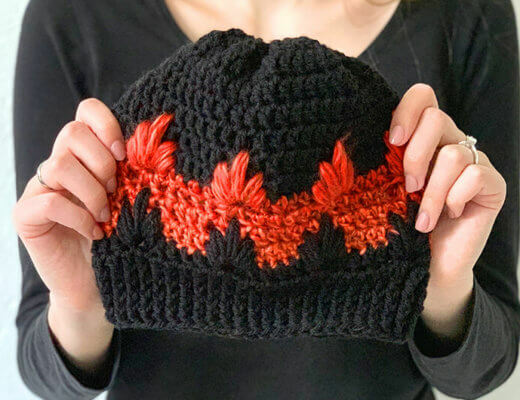 The yarn that I used for this design is called Durable Forest, a luxurious yarn with acryl, merino wool and silk from the Dutch yarn brand Durable. Durable Forest is available in 12 autumn colors – including the beautiful brown color I used. It’s fine / sport weight yarn which comes in balls of 50g. I used a total of 5 balls for this shawl. Lionbrand Coboo, 50% cotton, 50% bamboo – has an excellent drape and stitch definition. Perfect for shawls. LB Collection® Baby Alpaca Yarn, which has natural undyed shades of soft baby alpaca. It’s an affordable luxury fiber. LB Collection® Cotton Jeans® Yarn, 100% cotton DK weight yarn that looks and feels like denim. I just love the color tones! Get the ad-free printable PDF version of this crochet shawl pattern on Etsy and Ravelry. This shawl is a large (over-sized) shawl. For reference, model is 1.63m/5’4″. You can adjust the length/width of this shawl by adding or removing rows of the pattern repeat. When following the pattern – with the same yarn – the measurement will be as following. Gauge is not really important as this shawl will still fit if gauge is different. 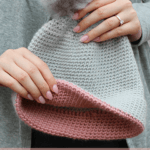 – The amount of stitches mentioned at the end of a row only includes the double crochet stitches and not the chains (the first 3 chains at the start of a row count as 1 double crochet). In this video you can see how to make the shawl. 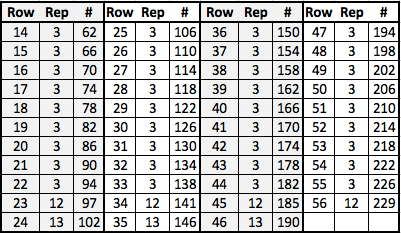 Repeat rows 3 till 13 4 more times. In the last repeat, do not repeat row 13, because we will make the border right after the puff stitch row. The border starts after a puff stitch row. Below you can find an overview of the amount of stitches you should have. Note: row 12/23/34/45/56 are the rows with puff stitches. The table below shows the amount of puff stitches + 4 double crochet stitches. 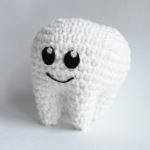 For example row 23 = 93 puff stitches + 4 dc = 97 stitches. I would love to see the shawl you made and the different yarn/color choices. Don’t forget to share some pictures on Facebook and Instagram, you can tag me on Instagram with my username @wilmawestenberg. Add this pattern to your Ravelry queue here. 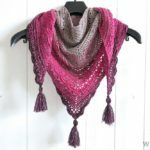 If you have any questions about this crochet shawl pattern or any of my other patterns, feel free to join my Facebook Group. I created this group for you to share pictures/ progress, ask questions and to help each other out. Thank you. First time I spotted your Utube. I like your shawl. I’m going to get started on it tomorrow. Again, thank you. 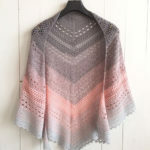 Very pretty shawl! 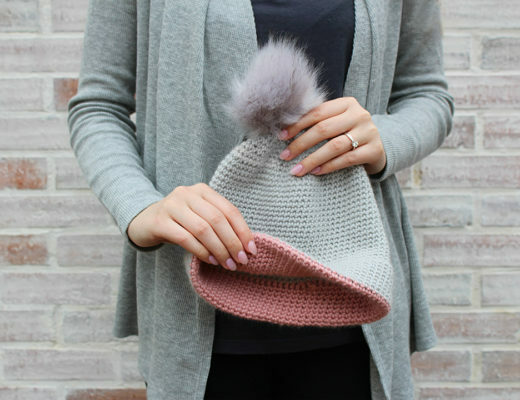 Simple, yet elegant, and in a neutral color like this, the perfect addition to any outfit. Pinned and shared. Would love if you came to link up! And enter the giveaway for an Etsy gift card :)! Bedankt voor weer een geweldig patroon. Heerlijk zo’n omslagdoek, zeker nu het gewoon weer kouder wordt. Wat ontzettend gaaf dat je telkens deze patronen gratis met ons deelt.